At Google I/O 2018, in our What’s New in Android Security session, we shared a brief update on the Android security updates program. 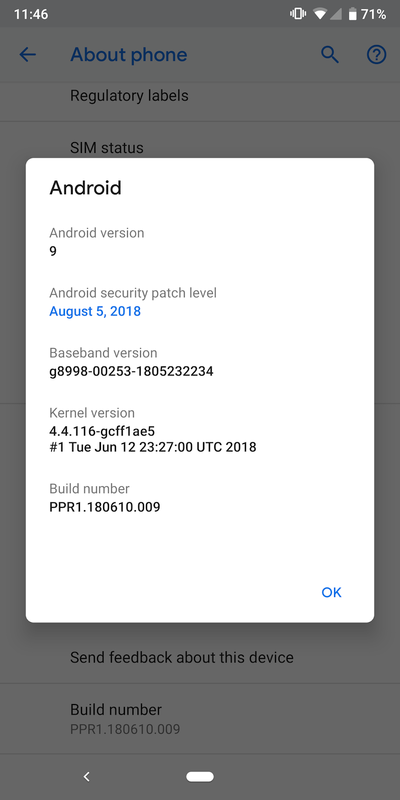 With the official release of Android 9 Pie, we wanted to share a more comprehensive update on the state of security updates, including best practice guidance for manufacturers, how we’re making Android easier to update, and how we’re ensuring compliance to Android security update releases. As we noted in our 2017 Android Security Year-in-Review, Android’s anti-exploitation strength now leads the mobile industry and has made it exceedingly difficult and expensive to leverage operating system bugs into compromises. Nevertheless, an important defense-in-depth strategy is to ensure critical security updates are delivered in a timely manner. Monthly security updates are the recommended best practice for Android smartphones. We deliver monthly Android source code patches to smartphone manufacturers so they may incorporate those patches into firmware updates. We also deliver firmware updates over-the-air to Pixel devices on a reliable monthly cadence and offer the free use of Google’s firmware over-the-air (FOTA) servers to manufacturers. Monthly security updates are also required for devices covered under the Android One program. We’ve also been working to make Android easier to update, overall. A key pillar of that strategy is to improve modularity and clarity of interfaces, enabling operating system subsystems to be updated without adversely impacting others. Project Treble is one example of this strategy in action and has enabled devices to update to Android P more easily and efficiently than was possible in previous releases. The modularity strategy applies equally well for security updates, as a framework security update can be performed independently of device specific components. Bugs are inevitable in all complex software systems, but exploitability of those bugs is not. We’re working hard to ensure that the incidence of potentially harmful exploitation of bugs continues to decline, such that the frequency for security updates will reduce, not increase, over time. While monthly security updates represents today’s best practice, we see a future in which security updates becomes easier and rarer, while maintaining the same goal to protect all users across all devices.